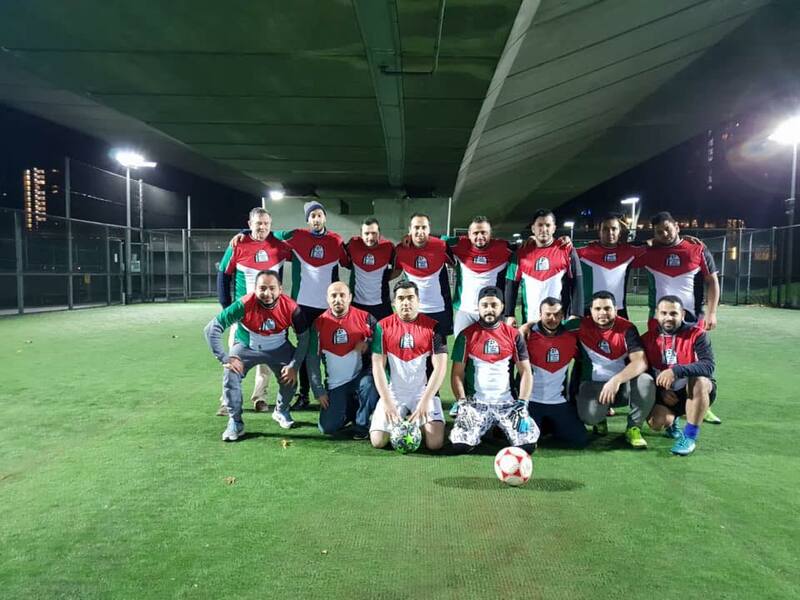 After almost a year of preparation and several five a side games the London Palestino club has played its first eleven a side game and has chalked up its first victory at 4 – 0 against Falcons FC in the Middlesex FA league. Its facebook page says “the London Palestino AFC is a new football club dedicated to the cause of the Palestinian refugees living in London. We are first, second & third generation Palestinian people as well as supporters of the cause of Palestine, raising the profile of the Palestinian right to return to homes in Palestine which Israel attacked & “ethnically cleansed” in 1948. We are currently welcoming new players who are 18 or over who already played first team football for their school, college, club or university, but we welcome players of all abilities. London Palestino will play against good sides including Deportivo Palestino. We believe that FIFA should treat Israeli Apartheid exactly as it treated Apartheid South Africa who FIFA expelled on 16 July 1976 by 78 votes to 9 & kick started the beginning of the end of Apartheid in SA. We must now play our best game to peacefully expel Apartheid Israel from FIFA and win the freedom to return to our homes & live in peace. Message us now if you’d like to play for us.